Every year, latter November and early December always get us grinning like a child as some of our favorite establishments launch their Christmas gimmicks almost simultaneously. A play, a display, a promo—these and everything else exciting us, reminding us about our past holidays with our fam and other loved ones. With the Pinoy consumer growing and more foreigners coming in, these gimmicks have only been made grander, we’re telling you! We know this after our very own roundup of these Christmas-specific events and what-have-you! With the unfortunate event middle this year downing everyone’s spirits, Resorts World Manila is keen to bring the merriment back to its halls as how most still remember it. 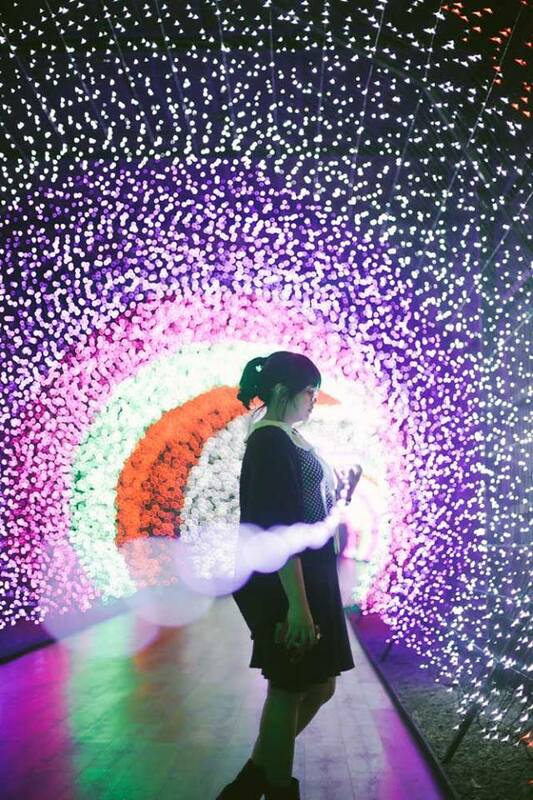 Social media plays a bigger part in this campaign as the premier entertainment and lifestyle destination recently unveiled its Lumina: Walkway of Lights, an LED bulbs-lit tunnel connecting Maxims Hotel and Newport Mall. It’s said to be the longest in the country, making it perfect for that selfie! The hip and happening City of Dreams Manila explodes with tons of Christmas gimmicks this year. The European-themed décor leads this campaign, with two tall nutcrackers at the main entrance and a 32-foot Christmas tree with Santa on a sleigh at the central aisle as the easy-to-find attractions. Check out the 22-foot teddy bear covered in LED lights illuminating the Nobu Hotel pool deck and garden at night! (These and the rest of the corners of the destination, Danish designer Creation Group conceptualized and Tema Design Philippines executed.) City of Dreams is also holding a Shrek-themed day-long itinerary at Dreamplay, including a ticket to the Shrek the Halls film at the Dream Theatre and a meet-and-greet with Shrek and Fiona themselves! In the last three years, Ascott Manila’s Christmas ceremonies have given way for the company to announce its projects with and call for donations for Gawad Kalinga’s Kusina ng Kalinga. Providing the “gift of nourishment” to less privileged children has been one of its goals, and this year is no different! Ascott’s lobby transformed into a Winter Wonderland, complete with a snow-covered Christmas tree and polar bears and reindeers on display. Celebrity athlete Michele Gumabao hosted the event, with harpist Holly Paraiso, the Gawad Kalinga Children’s Choir, and the UP Concert Choir making the event more memorable. The omnipresent SM went ahead with an early Christmas treat, launching the four-floor high, winter-inspired Christmas tree in the middle of SM Megamall Fashion Hall with a performance featuring the cast of original production The Enchanting Princess: A Holiday Musical Wonder. Perhaps, the most thrilling about the event was SM reintroducing the SM Cares’ SM Bears of Joys campaign. The project is an annual advocacy gifting a toy bear to the mall chain’s beneficiaries like Nayon ng Kabataan. Our fave holiday shopping destinations in Greenhills—Theater Mall and Promenade—kept its almost-20-year-old Christmas lighting tradition alive with another star-studded event held at the Music Museum. The event saw bright lights and transparent parols setting the place aglow altogether in one flick! It also commemorated the departed Kuya Germs, who used to host the event. With almost two months “lit” (November-January 7), the Ayala Triangle Gardens draws another wave of people with its annual Festival of Lights happening for the ninth time. Did you know the event is part of Conde Nast Traveller’s Seven Most Spectacular Lights in the World? It’s listed next to the Tivoli Gardens in Copenhagen, Denmark, the holiday lights display at the legendary Champs-Elysees in Paris, and Japan’s Kobe Luminarie! Heading up north? The storied The Manor in Camp John Hay, Baguio held its annual Christmas lighting ceremony with yet another packed gathering. No rain could dampen the mood as government officials including Camp John Hay executives, guests of honor Baguio Congressman Mark Go and Tourism Dept.-Cordillera Regional Director Venus Tan, and partners from the media and the business industry gathered to live the tradition. The event also announced the planting of over 240 pine trees around Camp John Hay to ensure conservation and aesthetic in the famed tourist spot. Chef Billy King, Executive Chef of Camp John Hay Leisure comprising of The Manor, The Forest Lodge, and The Clubhouse, also invited guests to the updated Thanksgiving and Christmas menus available at The Deli of Le Chef! ALSO READ: Hot Stuff: This Pinoy Artist Wows With His Gigantic "Fetishistic" Shoe Sculpture!